Everyone knows cleaning asphalt shingle roofs with a power washer is a no-no, but some times common knowledge is not always right. 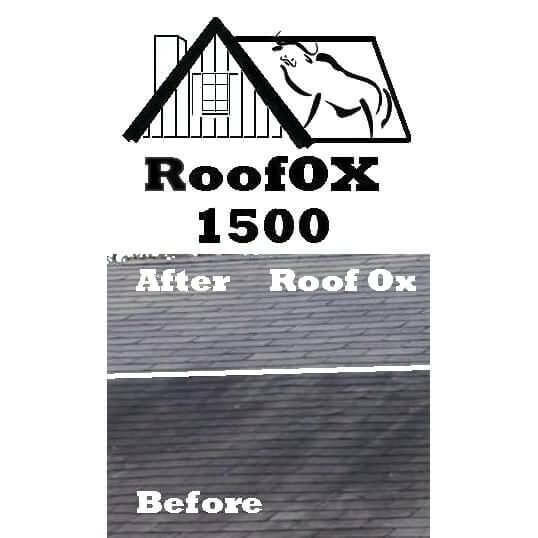 You can successfully clean black streaks and algae stains from your roof using a quality non-bleach roof cleaner ( such as Roof Cleaner OX ) and your power washer. The secret is to soft wash, rather than drill-baby-drill. Experts can’t identify the origin “Never use a pressure washer on your shingles”. Some believe the warning to avoid pressure washing asphalt shingles aimed to avoid the tangle of electrical extension cords and water hoses from such a height. Others point to the risks of the red tip ( Drill Baby Drill). Where ever it came from, it’s clear that the caution applies only using pressure over 500 psi which could damage shingles by displacing granules. When it comes to pressure washing, the pinpoint tip is the problem. Power Washer Rigs come with plenty of cautions to avoid the pin point ( red tip ) on even concrete. Red Tips deliver 100% of the force of a power washer’s rating. So a 3000 psi (pounds per square inch) washer will deliver 3000 psi on an red tip, and that can be used to dig a hole in many surfaces: “Drill Baby Drill”. Don’t use a a red tip, it’s just too much pressure. Any pressure over 500 psi would damage new shingles, keep the pressure around double garden hose pressure. (typical garden hose pressure is 85psi at ground level). This means the target rinse pressure is about 170psi. Actually, the ‘tip’ is not just a ‘hint’ the tip we are talking about is the actual pressure washer nozzle. 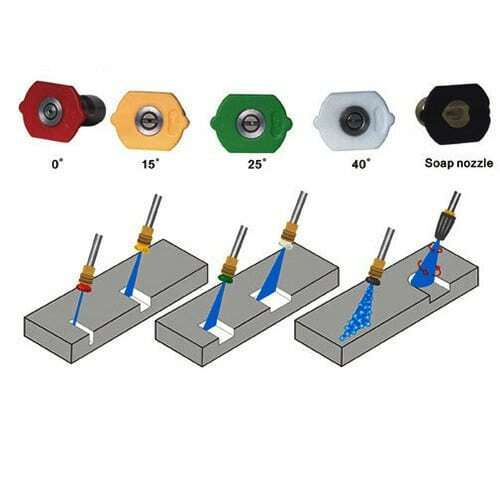 As the picture above shows, the Green Tip has a 25 degree spread, which reduces the pressure from the Red Laser Tip to much lower. But how much lower? Well that depends on the Tip to Surface distance. At 36 inches above the surface, the width of the surface contact would be 16″. So the effective pressure would be 3000 / 16 = 187.5 which would be an ideal soft wash rinse pressure. Soft wash describes using a quality roof cleaner combined with a high volume, useful pressure rinse delivered via a pressure / power washer. It is a very safe, practical, functional, and non-damaging means to remove black streaks from shingles ( and tiles, shakes, slate etc). Use the Green Tip and divide the surface contact width into your pressure washer rating to determine the wash pressure. For a stronger wash, move the tip closer to the shingle, for a reduced wash pull back a bit. Keep in mind that a soft wash rinse requires a straight line between the tip, and the shingle. If you arc the spray up, you’ve eliminated all pressure, gravity will drive the water at ~ 10 psi ( 95% less pressure than needed). This entry was posted in Roof Cleaner Reviews, Roof Cleaning Blog and tagged pressure washer, soft wash.
I’ve read that soft wash is the best system for roof clean so I’m going to test it out on my house this weekend to decide. 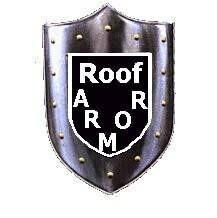 I honestly think it will be the best results for shingle roof cleaning. I was about to buy an adjustable pressure unit, but it makes total sense that the distance from the surface controls the pressure. Thanks for saving me $300 on an adjustable pressure washer! Good tip about not using the red tip as its too much pressure. Thanks, these tips helped in cleaning my roof!